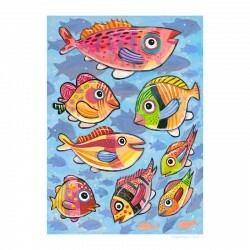 Giclée Print on Canvas: "Swimming North in the South Pacific"
Original fish paintings. 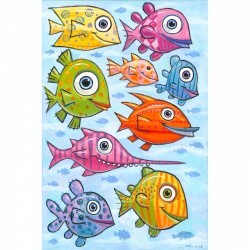 Created using thick acrylic paints on stretched canvas. Paintings There are 6 products. 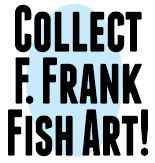 Original painting by F. Frank. 80 x 80 cm / 31.5 x 31.5 inches.Acrylic paints on stretched canvas. One of a kind. 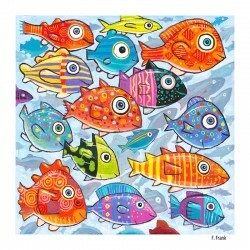 "Fish, Fish, Fish" Original painting by F. Frank. 50 x 70 cm / 19.8 x 27.6 inches.Acrylic paints on stretched canvas. One of a kind. 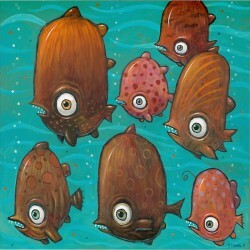 Painting: "Wild Piranhas of the Amazon"
Original painting by F. Frank. 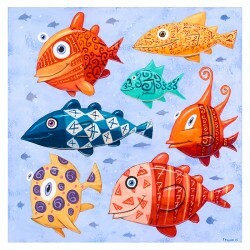 100 x 100 cm / 39.6 x 39.6 inches.Acrylic paints on stretched canvas. One of a kind. 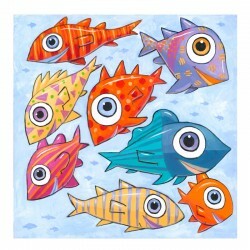 Original painting by F. Frank. 60 x 90 cm / 23.6 x 35.4 inches.Acrylic paints on stretched canvas. One of a kind. SOLD! Original painting by F. Frank. 80 x 80 cm / 31.5 x 31.5 inches.Acrylic paints on stretched canvas. One of a kind.